Benefits of Being a Donor | Junior League of Tucson, Inc. 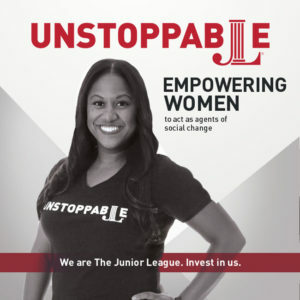 The Junior League of Tucson, Inc. is Determined, Impactful and Unstoppable! Join Us! Partner with us! We need businesses like yours to further our mission that has brought help and hope to the people and organizations of our great community for more than 84 years! In supporting the Junior League of Tucson, Inc. (JLT), you are supporting important community programs and helping us to provide the training to continue the legacy of Junior League members serving as vital philanthropic leaders in our community. To give to our general fund, please go here. For more information on donating, please contact our office manager at admin@jltucson.org. We look forward to using your donation(s) to build a better community!